This report is for all small businesses: from qualified tradies to entrepreneurial sole traders; from rapidly-growing retailers with multiple staff to work-from-home freelancers with a few loyal clients. While small businesses may differ in many ways, their customers have more in common – particularly in how they find, research and communicate with a business and increasingly in how technology is changing the marketplace. 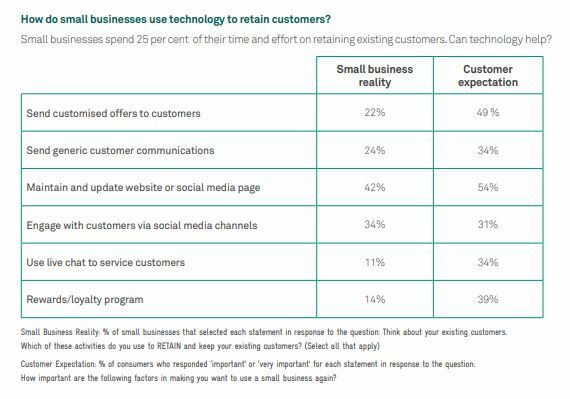 This report is especially for those small businesses who may think technology isn’t for them, because they may be surprised what their customers think about that. 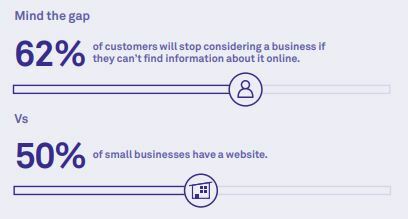 For example, we found that sole traders were much less likely than other small businesses to use online tools within their business and this can have a negative impact on customer or client relationships. If you’re still not convinced that technology is relevant to your customers, consider that the average Australian owns three internet-enabled devices, with 84 percent of us accessing the internet every day from at least one of them. 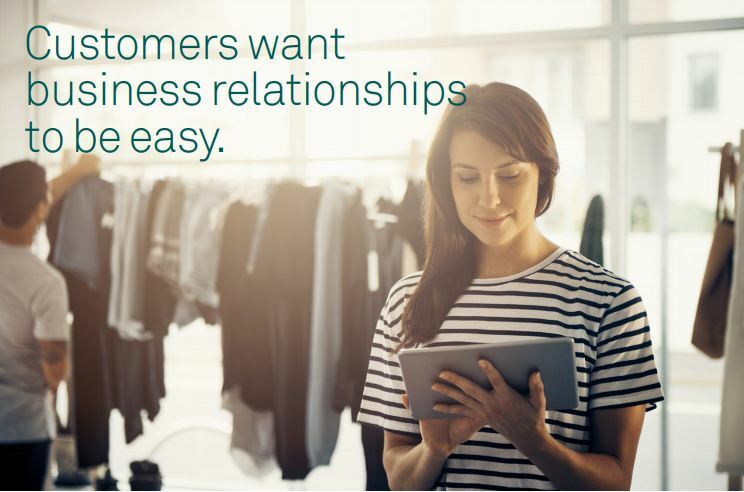 This report is for small businesses who want to understand how this ubiquitous access to technology can help them find new customers (or, more accurately, help customers to find them) while strengthening relationships with those they already have. The research consisted of two quantitative surveys conducted online during November 2017, using the TEG Rewards online research panel. Survey one was conducted with over 1,000 consumers across Australia and the results were weighted by age, gender and state. Survey two was conducted with over 1,000 small business owners and operators across Australia. • a small business is defined as having 1-19 employees. This is further categorised as sole traders (owner only), 2-4 employees, and 5-19 employees. • technology encompasses everything from the internet to the telephone, from mobile devices and computers to future concepts like artificial intelligence (AI) and virtual reality. In this report, technology refers to any device or digital tool that might be used to operate a business. • the word customer is used to describe both existing and potential customers as well as consumers in general. ‘Word of mouth’ means different things to different people. While customers use technology as a primary tool to find products and services (or, more accurately, to solve problems and meet needs), the majority of small businesses risk lagging behind. 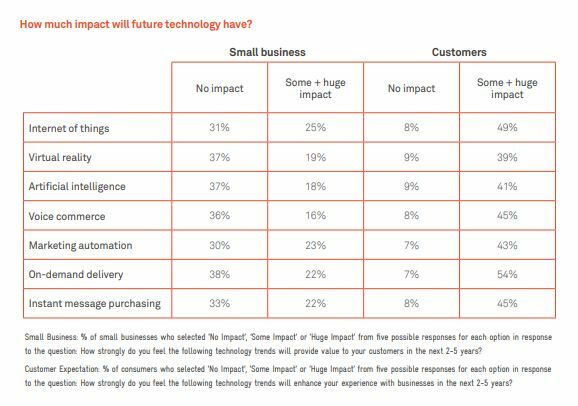 Only 34 percent of small business respondents ranked ‘attracting new customers’ as a primary role of technology within their business. This result suggests a couple of possible conclusions. • Many small businesses don’t consider tools they already use to reach customers – such as phones, internet, email, etc. – to be ‘technology’, potentially missing opportunities to use them more effectively. • Many small businesses are reliant on more ‘traditional’ methods of finding customers, which may be less effective as customer behaviours evolve. While many small businesses might not currently use technology as a way to find customers (or at least might not think they do), their customers are definitely using technology to find the right businesses! And if you’re not easily found online, then it may be your competitors they find instead. One common theme throughout the research was small businesses – particularly sole traders – stressing the importance of word-of-mouth referrals above all other forms of marketing. In reaching new customers, 76 per cent of small businesses listed word-of-mouth recommendation (asking friends/peers/colleagues) as ‘important’ or ‘very important’– higher than any other response. Yet, while customers also ranked word of mouth highly (71%), they ranked it third behind online search and online reviews. While word of mouth definitely plays a part, often this still happens online. Even then, a recommendation may only prompt the potential customer to further research a business or product – using a search engine to find the website or address, or comparing online reviews. In fact, there may be many more steps and a variety of technologies between the initial recommendation and the eager customer turning up on the doorstep. In short, technology is now interwoven throughout the typical customer experience in ways that are hard to separate (and probably shouldn’t be). More and more customers now find, recommend, research and contact new businesses online. In this first section, we will look at what customers really want from your online activity, and a few simple things you could do that might help you to meet these expectations. We will look at how to maximise the value of your website (and why you really do need one), why search engine marketing is important, and how to make the most of your social media activities. But let’s start at the beginning. What does it mean to “be online” as a small business? Being an online business can mean different things: having a website, running an e-commerce store, using social media, sending email newsletters, selling on eBay – the list goes on. However, websites continue to be the easiest way for small businesses in particular to build legitimacy for the digital customer. While 50 per cent of small businesses say acquiring new customers is a challenge, many are missing opportunities to attract them online. Only half of all small businesses have a website, and that number drops to 36 per cent for sole traders. However, more small businesses have a social media presence, with 66 per cent having a Facebook page, and 80 per cent saying they update it at least once a week. On the other hand, with 65 per cent of customers visiting Facebook at least daily, is a weekly update enough? Overall, small businesses are struggling to match customer expectations of what it means to be ‘online’, missing opportunities to be found by new customers and to build legitimacy. With the number of connected users in Australia still growing 1 , it’s time to take some steps towards online success. You’re not alone in thinking that. Our survey found 43 percent of small businesses don’t want a website. Even so, customers are still going online to look for businesses like yours! Instead of picking up the printed directories or browsing high street shops, many customers now go to the internet or pick up their mobile phone to find a business with the right item or service they need. And don’t think it’s only retailers who can benefit from having a website. Freelancers, tradies, consultants – in fact, just about anyone with an ABN – can use a website to be more easily found when a potential customer or client is looking for exactly their service. Marc Tan, General Manager – Business Applications and Systems at Telstra, says even a very simple business website will give your one-person business credibility while offering customers an easy way to contact you – something 71 percent of customers say is important when looking for a product or service. And don’t forget that your business may be one of many vying for the same customer. A website can also provide plenty of information to help customers compare your offering with the many others they may find online. Showcase your portfolio of previous work, list details about your services, demonstrate your expertise with articles and handy tips, or simply highlight your competitive pricing and unique selling points – a website is one of the most effective ways to not only get your business found but also noticed. • 89 percent of customers say they want a website that’s easy to navigate. What information are they looking for? How can you make it simple to find? • 84 percent of customers want a trustworthy website. What options are available to you? Can you get an SSL certificate (a ‘padlock’ that reassures customers of secure transactions) to improve security? • How can your website help you respond quickly to customer inquiries? Are your contact details easy to locate? • Complement your website with social media activity. If you have a Facebook page already, consider updating it more frequently, to align with the way customers use it. If you don’t have one, head to Facebook for Business to get started. For more on website features – including customer expectations and the business reality – see page 24. Choose a domain name. Keep it short, memorable and descriptive. Check if it’s available with a domain name search. Plan the site map. You can start with as few as three simple pages: homepage, products/services, and a contact page. Select a web design template. Most website platforms include a library of design templates. For example, choose from the wide range of designs offered by Telstra Online Essentials. Gather the copy and images. Whether building yourself, outsourcing to a developer or subscribing to a web design service, having all the assets before the build starts can reduce mistakes and get you online faster. Build. Who has time? A service like Telstra Online Essentials handles the build for you, saving time while reducing the risk of amateur mistakes. Launch. Before hitting ‘Publish’, check for broken links and images. And once it’s online, start promoting your new website so everyone knows about it. Most customers use search engines to find a product or service. With customers valuing search tools above all else when looking for a product or service, small businesses are at risk of missing the opportunity to be found. It’s clear that search engines (Google, Bing, Yahoo! and more) are by far the most popular method for customers to find information about small business. Yet only 26 percent of small businesses currently use Search Engine Optimisation (SEO), with 52 percent expressing no interest or intent in using it. This represents a huge gap between how customers seek out products and services and how small businesses expect to be found. The results of any online search are in response to the specific keywords or phrases the user might enter – like the type of service or location of a small business – to find information. If your business isn’t easily found in the search results for relevant (particularly localised) keyword searches, you may as well be invisible. And if they can’t find you, they might find your competitors instead. Therefore, SEO involves identifying the best keywords and phrases customers might typically use to find a business like yours (e.g. ‘Western Sydney gardening’) and adjusting the text and other elements on your website so that search engines identify it as more relevant to that particular search query and rank it higher – hopefully, high enough to be noticed by more people. Even appearing in the right search results might not be enough, as most customer clicks can happen within the first page of 10 links. Every increase in rank can potentially impact the amount of traffic your website receives from the search results – sometimes dramatically, which is why many businesses devote a little time to ongoing optimisation. Every time you use a search engine, you’ve probably noticed the text ads sitting above and to the right of the search results. By targeting specific keyword searches, these search engine adverts – the most popular being Google AdWords – are a highly effective way for your business to appear in front of more potential customers as they actively search for what you’re offering. And yet 72 percent of small businesses say they have no intention of ever paying for Search Engine Marketing (also known as paid search). With the majority of Australian customers using search engines to find and research potential suppliers and other businesses, you can’t afford not to. Start small: choose one keyword to focus on, update your website, and use a free analytics tool like Google Analytics to measure changes in traffic to track the impact over time. Even a few tweaks here and there when you have a little time free can add up over time. Getting started with Search Engine Marketing. Yes, it can take time for your SEO efforts to gradually rank your website higher within the relevant keyword searches, particularly for highly competitive keywords and phrases. But even a little bit of SEO here and there is certainly preferable to none at all, and can still gradually improve your search rankings over time. Search engines are more likely to ‘crawl’ your website more often if they detect that you regularly add new content or update existing copy – and these changes can result in updates to your relevant search engine rankings. While some websites, particularly e-commerce stores, routinely update their content with new stock and other content, other small business websites might publish a blog or gradually add new pages with additional information to keep the site content fresh and to target specific keywords. Research keywords and phrases potential customers might be using. There are various online tools to explore potential search terms, such as Übersuggest, WordTracker and, of course, Google Trends. Consider how customers may actually look for a business like yours. Localised and specific terms are more likely to represent potential customers for you. Do they search for “mechanics” or “Brisbane CBD smash repairs”? Include the target keyword in the page title and meta description. Your website editor or Content Management System (CMS) may include fields to easily edit these elements. Focus each page of the website on a different keyword. Weave the keyword(s) into the copy, particularly headings and subheadings. Avoid adding too many (‘keyword stuffing’). The copy should still read as if it’s intended for your ideal customer to read, not a computer algorithm. Identify keywords likely to attract customer clicks. When you’re paying for each click, you don’t want curious visitors but customers ready to buy. Research keywords and their cost per click with Google’s Keyword Planner. Set maximum daily budgets. Capping your daily budgets keeps you in control and avoids overspending should a campaign suddenly attract a lot of clicks. Test, measure, analyse and optimise your campaigns. Try running several ads at once to see which perform best. Then direct more budget to the high performers (and turn the others off!). Customers overwhelmingly use mobile devices to find information. The shift by customers to mobile devices reflects the changing way they are engaging with businesses in general – using email, online chat, e-commerce and social media to discover and purchase. E-commerce businesses are largely aware of the importance of having a mobile-optimised site (80%) and it’s not hard to see why. According to online payments provider PayPal, 72 per cent of Australians shop on a mobile device and 62 per cent use mobile apps to do so1 . However, our own research found only 42 per cent of customers agree that a mobile-optimised site is important to them. Rather than this reflecting a lack of priority, it might suggest that many of them haven’t recently visited a website that didn’t render correctly or perform as expected on a small screen. And there may be one important reason why this might be… Search engines – and Google in particular – have long recognised the importance of mobile optimisation. Google adopted a ‘mobile-first’ policy in 2016 that penalises or reduces the search engine rankings of websites that aren’t designed to be accessed by mobile devices. Other search engines also now prioritise mobile-friendly sites. Therefore, if your website isn’t mobile-optimised, it’s going to have a much harder time being found by anyone using a smartphone or tablet. And if a few mobile users somehow still manage to stumble across your website, the poor experience may quickly drive them away. If a little over half of small business e-commerce websites are mobile-optimised, that’s a lot of potentially poor customer experiences happening on smaller screens and devices – and probably a lot of lost customers too. Don’t fret. Treat mobile optimisation as an opportunity to improve the experience for your potential customers – and be more easily found on mobile devices – by updating your website with a mobile-responsive design. Did you know? Your customers definitely use mobile devices. The average Australian has three internet-enabled devices. 81% own a smartphone and 45% own a tablet device*. This year, smartphone ownership increased by five points, and mobile internet connections also increased by 3.4%**. Your customers definitely use mobile devices. First things first: your website might already be mobile-friendly. Google has a handy tool to check. If not, getting set up doesn’t have to be difficult. 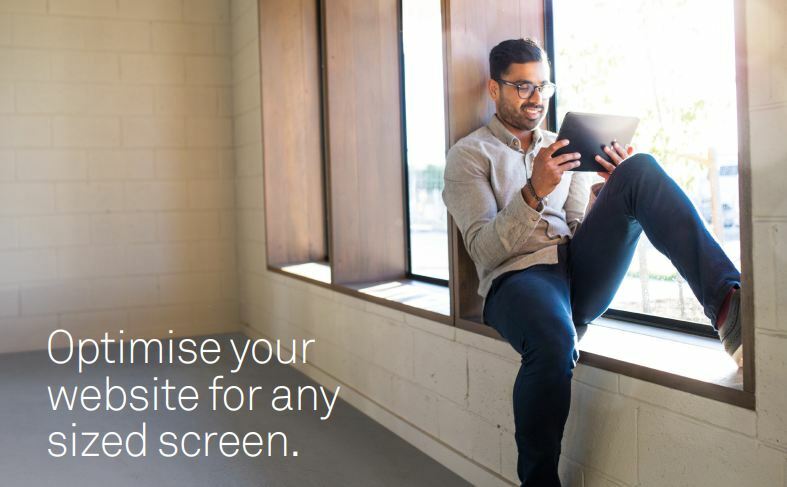 Many website services, including Telstra Online Essentials®, have mobile-friendly website templates. Also called ‘responsive’ templates, they check to see if a visitor is using a phone or tablet, then shift website elements around to be most accessible on a smaller screen. Some websites have separate templates for mobile users, requiring you to set up a mirror of your website. When configured correctly, visitors are redirected to one or other version of the site depending on their screen size and device. A separate mobile site can also allow you to offer more than just an optimised design, such as alternative content, simplified forms or a different user experience for mobile visitors. Finally, think about where your customers are when using their mobile devices (instead of their laptop or desktop). They might be on public transport, out and about or in bed. What information or content might they be looking for there? How can you make sure it’s easy to find? Does your website use a responsive design template? A responsive design detects the visitor’s screen size, reconfiguring the website to fit. Should you create a separate mobile version of your site? Alternatively, redirect mobile visitors to an optimised mirror site. Are your forms easy to use on a small screen? Try to include fewer fields while limiting the amount of typing required. Are your images and video optimised for mobile use? Smaller file sizes are nicer when using mobile data. Are important links easy to find? Make it simple for customers to tap on ‘Submit’ and ‘Checkout’ buttons. Customers are more likely to continue engaging with brands that are active on social media. As mentioned in the introduction, 76 per cent of small businesses cite word of mouth as ‘important’ or ‘very important’ in acquiring new customers. While customers do rely on word of mouth, the nature of those conversations is changing – and they are increasingly happening online. As with websites, being found on social media isn’t as simple as just setting up a page. All social media platforms, such as Facebook, LinkedIn or Instagram, use their own technology to determine what users see in their feeds. According to Sensis , 59 per cent of social media users say they are more likely to trust a brand that updates its content regularly, and 63 per cent are more likely to trust a brand if its content is relevant and engaging to them. The question is: how do you do it well? Did you know? 59% of Australians use social media five times a day or more. The online reputation of small businesses is increasingly important. Customers will routinely research a product or business before they make a decision – often before they first contact your business. How you appear online – even in places you can’t control – can mean they go somewhere else. Customers expect you to have an up-to-date online footprint: as mentioned previously, 54 per cent of customers say a well-maintained website and social media presence is a consideration when deciding whether to use a business again. They are often looking for reassurance that, when necessary, they can get in touch and that their problem will be solved. How a business handles enquiries, complaints and other relationships in public fora such as social media will also provide clues to what future customers might expect. Ultimately, the relationship they build with an online business has the same foundations as an offline relationship: can they rely on you? There are many factors to building credibility online. 49 per cent of customers say they’re unlikely to consider a business they can’t call, so adding a phone number or Skype contact to your website could make them more likely to consider your business. Meanwhile, publicly addressing customer concerns – such as negative Facebook comments – can demonstrate your willingness to solve problems while showcasing your responsiveness, expertise and customer service values. On the other hand, deleting or ignoring uncomfortable feedback or concerns will send a message to others that you’re not interested in what your customers have to say. Public discussions in social media and elsewhere can also provide plenty of rich market research. The real-time feedback on likes and dislikes, suggestions and complaints can guide your future business decisions, product updates and messaging. Above all, by showing you listen and are willing to act upon this feedback (where relevant or practical to do so) builds trust that you want to provide the best possible experience for the customer. You don’t need to be a digital business for your customers to look for you online. Will they find you or your competitors? There are easy ways to get started! E-commerce is a growing market in Australia. As it reaches maturity, online customers are pretty clear about what they expect from their shopping experience. Understanding – and then implementing – these customer needs is vital. At the moment, small businesses are really out of step. They actually overstate the importance of most e-commerce features (see the graph on the next page) but, in reality, aren’t delivering the experience they know their customers want. For example, 79 per cent of customers say a shipping calculator is important to them, and 72 per cent of small businesses agree. Yet only 42 per cent of small businesses offer this functionality. 80 per cent of customers say status updates on orders are important and 84 per cent of small businesses agree, but only 41 per cent currently offer this. There are also gaps in available payment methods. 70 per cent of customers prefer to use PayPal, but only 45 per cent of businesses offer it. On the other hand, only 10 per cent of customers want to use direct transfer, but 67 per cent of businesses offer it. These mismatched priorities suggest some small business choices may be driven by their own convenience rather than that of the customer or that they have failed to update their options as technologies and trends have evolved. An opportunity to improve your customers’ e-commerce experience. 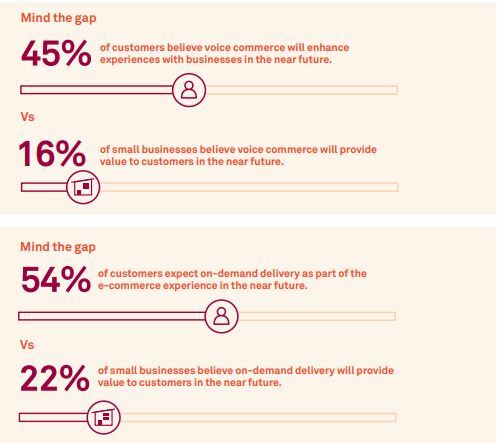 The massive disconnect between customer expectations and business reality might seem scary but it actually represents a big opportunity for those small businesses willing to close the gap and provide more customer-pleasing online shopping experiences. Many of the most demanded features are readily available in e-commerce platforms like Neto, and can be relatively simple to implement. Depending on your product or service, it’s often easier to retain and extract more value from existing customers than to constantly search for new ones. And retaining customers could be as simple as listening to them. Neto’s Ryan Murtagh says personalisation is the key to e-commerce success, which is why the Neto platform offers a number of add-ons to help retailers to personalise the experience. Customers expect the process to be easy for them first and foremost. Past data makes it simple to automatically show products they may like, or new release recommendations. Customers also want to have a long-term relationship with their favourite online retailers, with 39 per cent saying that a rewards program is important to them. Targeted and triggered promotions are also a winner with customers. 49 per cent say customised offers are important in keeping them coming back. Booktopia CEO Tony Nash says this is really about respecting the customer. “We don’t waste their time by not taking any sales history or browsing history. Our customers receive a very targeted email.” Murtagh says customers want their previous information to make their next transaction simpler. “Make it easy for people to check out the second time they buy from you by remembering their details.” Show customers you understand what they want, through personalising their experience and communications, and you’ll have a customer for life. Customers love shopping online. There are many ways to potentially improve their e-commerce experience. A business being ‘too hard to deal with’ is the number one reason customers decide to find a different business next time (see page 36). Customers want to get in touch – but not in the way you think. Being online doesn’t mean losing the human element. Customers want to be able to speak directly with businesses, and some of their preferences may surprise you. 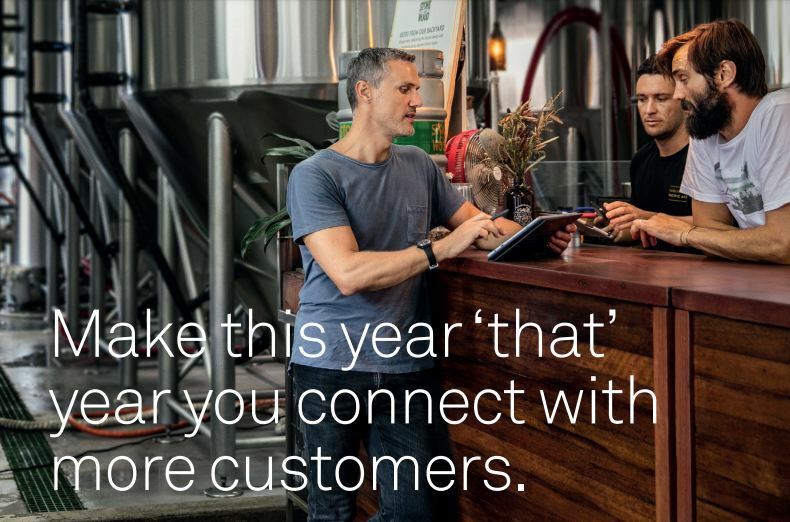 Small businesses are out of step when it comes to communicating with customers. While 52 per cent see the value of technology as a customer service tool, many are failing to communicate in customer-friendly ways. 28 per cent of customers want to be able to contact a business via online chat – while only 9 per cent of small businesses currently use it regularly; a whopping gap in expectations that could present an opportunity for those able and willing to adopt the technology. On the other hand, 74 per cent of small businesses cite face-to-face as an often-used communication channel – which shouldn’t be too surprising in bricks and mortar industries such as retail or hospitality in particular, as well as some service-based businesses. However, only 33 per cent of customers say they prefer face-to-face communication. This might come as a shock to any retailers betting on their customers valuing a personal in-store experience over the convenience of e-commerce – particularly with the arrival of Amazon in Australia. It’s possible that some small businesses are overstating the importance of communication channels that are more convenient to them – and not necessarily considering those preferred by their customers. The only contact method small businesses and customers agree on is email: 78 per cent of both groups prefer it and use it often. 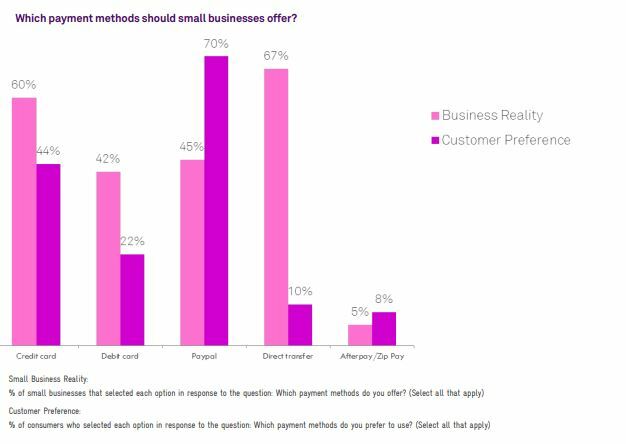 Small Business Reality: % of small businesses that selected each option in response to the question: How does your business respond to customers? (Select all that apply) Customer Preference: % of consumers who selected each option in response to the question: What do you prefer to use when you need to communicate with small businesses (either for purchasing or customer service)? At the heart of any good relationship is open communication. So, your customers want to communicate with you, but they want to use their preferred platforms. Social media is often used by customers as a last resort. They like well-maintained websites and social media pages (54%), but only 15 per cent prefer to use it to contact businesses directly – for example, to resolve a support issue. More than half of customers still prefer the telephone when contacting businesses. If you’re one of the 75 per cent of small businesses that still pick up the phone, make sure the number is easy to find in each of your online spaces – from your website to your Facebook page. Leasing a 1300 or 1800 number can be a simple way to offer support to national customers. While there are many everyday scenarios where face-to-face contact is preferred, consider which tasks really need you and the customer to be in the same room. Can the same outcomes be achieved with a digital communication channel, such as discussing a quote via email or using video conferencing or online chat to share your latest designs? Customers overwhelmingly prefer the convenience of digital channels when practical. Plus digital channels prevent geography from restricting your ability to communicate with customers. Online chat can be a great way to engage with customers with quick enquiries, or who don’t want to or can’t talk on the phone. A variety of tools already exist and are simple to implement. You’re most likely already on top of email, so keep doing what you’re doing! Offering a great service can be easy: it’s all about knowing your customer. 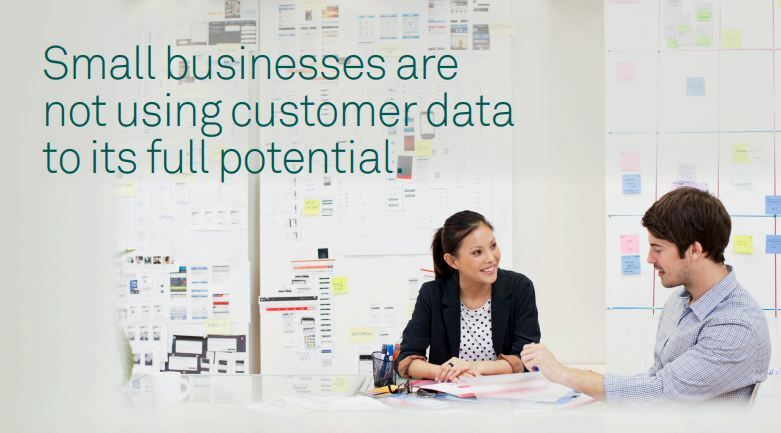 Customers are more aware than ever of the value of their data. They know you want it, but they also know that, when used in the right way, data can make their own experience more satisfying. Small businesses are pretty close to hitting the mark here. Most (68%) recognise that customers want to have access to past information, such as their purchase history. But the biggest gaps are between what small businesses know their customers want and what they actually provide. For example, while 38 per cent of small businesses believe customised offers are important to their customers – and they are (49%) – only 21 per cent currently use them. This might be a combination of factors: lack of access to data, not having the technology to implement the necessary features, and failing to recognise the wealth of data already available. 63 per cent of customers want customer service staff to know and, more importantly, act upon their prior activity – particularly when solving problems. They also want access to past order information (68%), and to receive marketing that’s personally relevant (45%). Less than half of businesses have implemented these features, even though many website and e-commerce platforms already contain this functionality. 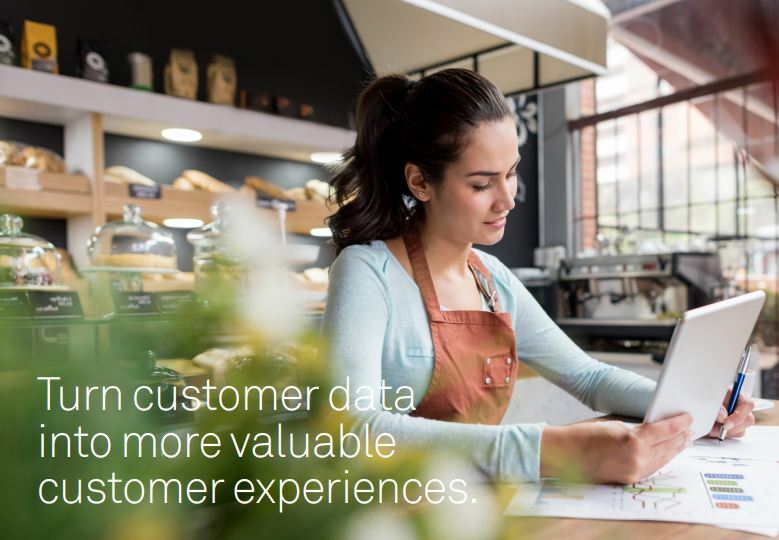 The value of customer data grows as you explore other channels. If you know that most people view your “contact us” page, you can add other features to that page to help them to get in touch or answer queries – such as online chat. If the data tracks which products customers are viewing on your website, you can automatically serve them a Facebook ad for the same product. If you’ve captured data around what a customer booked or ordered last time, you can trigger a targeted email for their next appointment or follow-up service two weeks later. You can also import your email marketing list into Facebook to create ads specifically for your newsletter recipients. There are almost limitless ways to make sure your customers get what’s relevant to them and enjoy a smoother, more personalised experience. This web of data is usually captured and analysed in a central platform such as a Customer Relationship Management (CRM) system. While CRM systems used to be about storing phone numbers and keeping warm leads, these days they can give a quite detailed view of the whole customer journey – and provide opportunities to personalise and improve it. Over the next five years, as with the last, we are likely to see enormous changes in the way businesses use technology. Yet, our research suggests that small businesses haven’t properly considered the potential impact of this technology. Less than a quarter believe technology trends like virtual reality and on-demand delivery will have some impact on their business. Customers think differently. Almost half of them believe this technology will enhance the way they interact with businesses in the next two-to-five years. They’re keen on artificial intelligence (AI), on-demand delivery, voice commerce, and marketing automation. Some of these ideas might seem a long way off, or not directly applicable to your business. However, AI expert Ian Aitken, Managing Director of Sofihub, says the opposite is true. “Don’t be afraid if you don’t understand it. You’ve just got to know that it’s there, and look with an open mind for where it can improve your business outcome.” Concepts such as artificial intelligence may seem like the stuff of sci-fi nightmares – such as the malfunctioning HAL 9000 in 2001: A Space Odyssey – and not to be trusted. However, you’re probably already using some of these technologies in your business and your daily life. You might use automated search functionality on your tablet device, while artificial intelligence drives the virtual assistant in your phone to give you directions on command. Even email spam filters are a form of machine learning. The systems you use are already learning, improving and delivering better value as a result. And the shift is happening fast. Customers already use these technologies for everyday tasks, such as asking their phone to order a cab. While robot butlers and flying cars are a way off yet, food delivery services such as Uber Eats, Deliveroo and more already combine mobile apps with AI and the Internet of Things to allow on-demand delivery in most capital cities. And this has allowed many smaller businesses to offer food delivery services to their customers that may have previously been impractical or prohibitively expensive. How long before it isn’t just food being delivered on demand? Could your product be delivered on demand with the right set-up? How might it impact your business if your competitors start to offer a convenient and fast home delivery service before you? Plus, with the Google Home smart speaker and voice assistant launched in Australian stores last Christmas (and Amazon’s Echo not far behind), voice commerce is already here for many customers. Right now, it is possible to use voice technology and the AI found in the Google Assistant or Amazon’s Alexa to order from Woolworths, Officeworks and, of course, Amazon. How long will it be before potential customers begin routinely asking their smart speakers to recommend a local plumber or book a table at a café or… Aitken says the reason we don’t think of these existing trends as ‘voice commerce’ or ‘artificial intelligence’ is that, when a technology becomes accepted, we stop using the technical term and start referring to it by what it does. “Instead of people calling it AI, they call it facial recognition, or fingerprint recognition or speech recognition. Autonomous vehicles for example. All of the assisted driving technology – cruise control, adapted cruise control, adapted braking – they’re all AI. But we’re not calling them AI anymore because they have a function. We call it the function.” Technology will continue to improve. Innovations will continue to find new ways to solve old problems or easier ways to achieve otherwise difficult tasks. While not every new technology or device will change the world like the invention of the car, internet or smartphone, even incremental change can either improve or erode a competitive advantage over time. It’s up to you which of those will happen to your business. This wouldn’t be the first time that businesses large and small have been sceptical towards new technology only to lag behind customer trends, adoption and behaviour. Ten years ago, many businesses dismissed the arrival of the first smartphone as a fad. Yet, it spawned a plethora of new business models – often at the expense of old ones. The smartphone revolutionised the gaming industry, ushered in a new era of mobile-driven e-commerce that has transformed retail, and created entire new industries, such as app development. Of course, not every business should research and experiment with every new technology, even if it can afford to. But it is worth approaching each trend with the question of ‘what if?’ Only then can you consider the potential impacts and imagine how you might turn them into opportunities instead – not only for you, but for your customers. Where to start with future tech? How can I improve the experience for my customers on every device? How can I better understand and respond to my customer’s preferences and needs? How can I use automated marketing to create a more personalised customer experience? Can I offer transactions in places other than my website? How can I help customers understand my products through virtual and augmented reality? Can I fulfil orders faster and more accurately with on-demand delivery services?